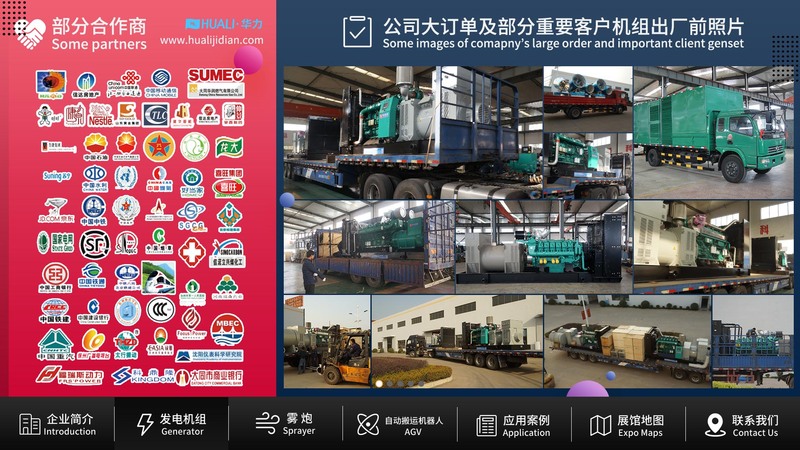 Short Description of 50 kVA cummins diesel generators for sale,with 160 kW / 200 kVA prime power,and 160 kW / 200 kVA standby power;Voltage:400 / 230 V or 380 / 220 V optional,Frequency:50 HZ,Speed:1500 / 1800 rpm optional.Diesel Generator Set With Cummins Engine,and water cooled;Alternator is SHUANHUA,STAMFORD or MARATHON optional;Controller:KOMAP or DEEPSEA optional;We have Different Type Generator,such as Open Type Generator , silent / soundproof / quite type generator, Trailer Type Generator , Container Type Generator ,and Automobile Type Generator.Our partners are all famous diesel engine manufacturers such as Perkins,MTU,Volvo,Dongfeng Cummins,Chongqing Cummins,Yuchai of China,Shangchai,Weichai Deutz and so on.We have Different Brand Diesel Generator Set,such as diesel generator set with CUMMINS engine,Diesel Generator Set With Perkins Engine,Diesel Generator Set With YUCHAI Engine,Diesel Generator Set With MTU Engine,Diesel Generator Set With Chinese Engine;We have different kW generator,20-50 kW generator,80-200 kW generator,200-480 kW generator,500-1000 kW generator,and ≥1000kw generator.We have Different Kva Generator ,20-50kva generator,80-200kva generator,200-480kva generator,500-1000kva generator,≥1000kva generator. Building upon Perkins proven reputation within the power generation industry, the 1100 Series range of ElectropaK engines now fit even closer to customers needs. In the world of power generation success is only gained by providing more for less. With the 1106A-70TAG Perkins has engineered even higher levels of reliability, yet lowered the cost of ownership. 1100A units are designed for territories that do not require compliance to EPA or EU emissions legislation. These engines are assembled around optimal, efficient manufactuing processes with state-of-the-art technology. They are built to provide the exact power solution for customers who sell their applications into lesser regulated countries. Focusing on our common platform theme, changes to engine envelope dimensions and connection points have been kept to a minimum. Looking for ideal Diesel Generator Components Manufacturer & supplier ? We have a wide selection at great prices to help you get creative. All the diesel generator Capacity are quality guaranteed. We are China Origin Factory of Silent Diesel Generators for Sale. If you have any question, please feel free to contact us.